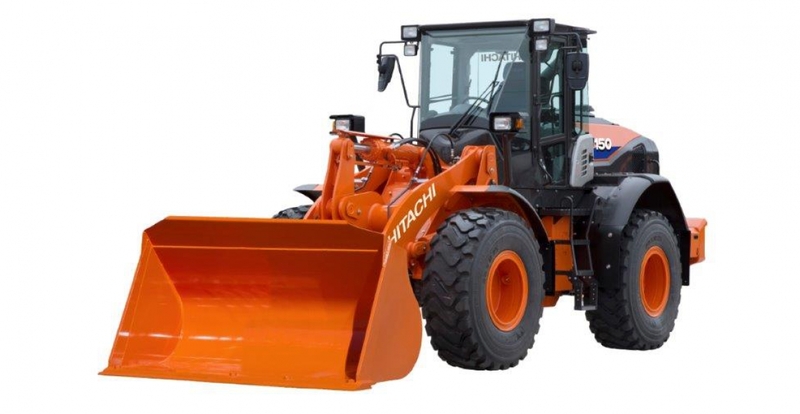 Using its extensive knowledge of the high-performing ZW-5 model, and ongoing research of the European market, the Hitachi development team has fine-tuned the ZW150-6 to better satisfy the needs of operators. 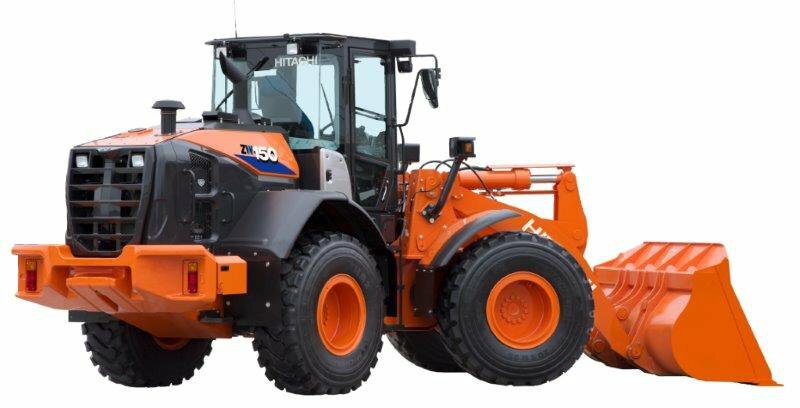 Their demands for greater versatility without compromising on performance, and their concerns for safety and comfort, have all been carefully considered with the new ZW150-6. Ideal for a variety of applications, the ZW150-6 is powered by a new Stage IV-compliant engine for the same levels productivity as the ZW150-5, but with reduced fuel consumption* and running costs. 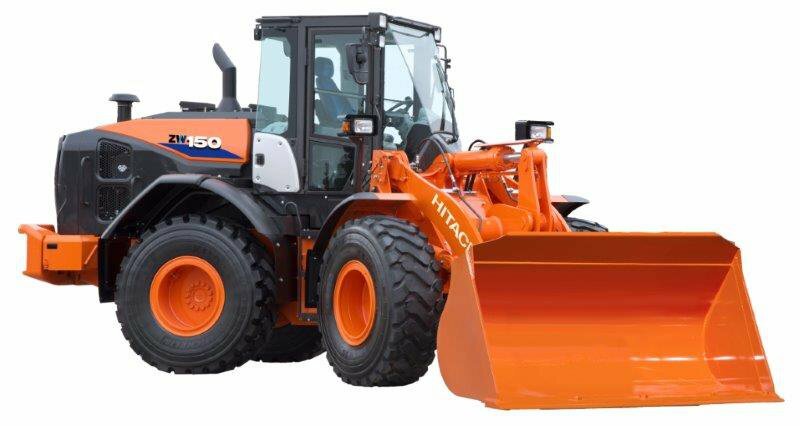 It offers the best all-round visibility and is one of the quietest machines in its class. The ZW150-6 is suitable for a wide range of projects including general and road construction projects, and industrial applications. 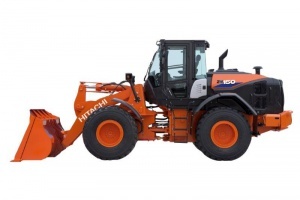 It is available with optional extras for waste handling and agriculture, such as a radiator dust protection screen, anti-clogging radiators, front windscreen guard and pressurised filtration system. These provide added protection for the operator in dusty environments (waste management and demolition, or when working with compost). Three types of lift arm – standard, high lift and parallel lift – provide even greater flexibility. The parallel lift arm ensures effective handling with less tilting variation of the attachment. Ideal for pallet forks, it offers increased load control and better visibility of the attachment than the standard lift arm. 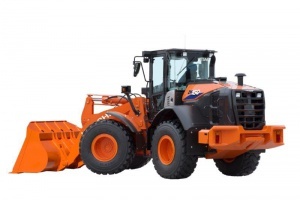 When working in snowy, slippery or muddy conditions, the ZW150-6’s traction control system helps to avoid tyre slippage, and ultimately prevents wear and fuel wastage, and lowers running costs. 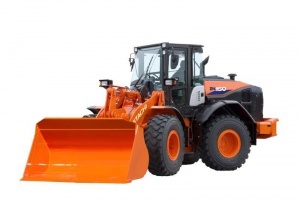 It is particularly useful in light applications, such as snow removal. 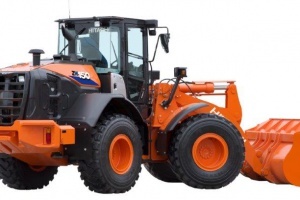 Several tyres are also available for the ZW150-6, according to the needs of the operator. Another contributing factor to the versatility of the ZW150-6 is the hydrostatic transmission. Consisting of one pump and two motors, it enables very precise movements at low speeds, and brings additional benefits of increased productivity and efficiency. To further optimise its usage with hydraulic attachments on different job sites, the ZW150-6 has first speed dial and creep mode switches. 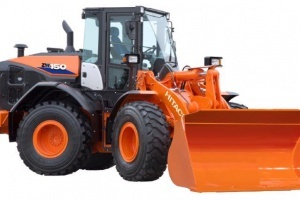 In combination, they allow for the full adjustment of the maximum travelling speed in first gear (1-7km/h), so the operator can apply higher rpm at low speeds for maximum hydraulic performance. A further example of the advanced technology incorporated within the ZW150-6 is the engine’s after-treatment device. Designed to reduce emissions as well as noise levels, it consists of a diesel oxidation catalyst, urea mixing pipe, selective catalyst reduction (SCR) system and silencer. The SCR system injects urea into exhaust gas to reduce nitrogen oxide. The cab of the ZW150-6 makes work more comfortable and safe for operators with excellent all-round visibility, improved sound insulation and user-friendly features. The rear-view camera and wide-view mirrors, curved engine hood, and repositioned exhaust pipe and air intake, all help to provide a better view of the operator’s surroundings. LED rear road lights increase the machine’s visibility on dusty job sites. For easy operation, the optional lift arm auto leveller can be adjusted by operators via the monitor, according to their needs. The ride control feature ensures a smooth drive on all kinds of terrain by minimising machine pitching. To make maintenance and daily checks quick and easy, the ZW150-6 has wide-opening side engine covers for better access. The air filter and urea tank can be easily accessed from ground level. *Fuel consumption reduced by 19% in travelling operations and by 6% in V-shaped loading.